Today we want to introduce to you Camilla - one of our fabulous hygienists. Camilla joined Longborough in the summer of 2015 and very quickly became part of the team. 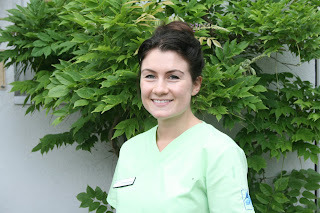 Camilla trained at King's College Hospital as a Hygienist Therapist which means she has a broader scope of practice than a traditional hygienist.Her calm professional approach to her work combined with an empathetic nature ensures that her patients receive the very best care when they come to Longborough. In her spare time Camilla enjoys spending time with her two horses Sky and Sundance and her beautiful one-eyed cat Twiggy.